easy to read and in metric measurements which is good for us aussies! This book is a useful addition to any preserving library and particularly if you are using Weck jars. It provides comprehensive information on how Weck jars are used and for water bathing a range of products. Chapters include troubleshooting tips, information on how to can safely and recipes for berries, fruit, fruit butters, pickled vegetables, cakes, jams and jellies. Note that the book states that it does not recommend using Weck jars in pressure cookers: the comments do not apply to pressure canners. 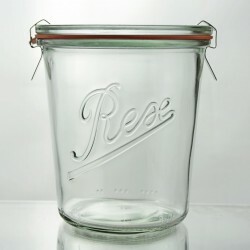 If you are using Weck jars for pressure canning, we recommend using jars with straight or tapered sides and the use of a third clamp during processing. Weck reusable Glass Lids are of the highest quality and contain NO BPA! (Bisphenol A). Weck glas.. The perfectly calibrated stainless steel clamps fit universally on all Weck jars. These are of the .. These are of the highest quality and contain NO BPA! 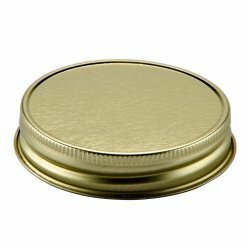 (Bisphenol A) Weck glass jar lids are the only..
Lid BPA FREE Snap On Cap Suit Weck Preserving Company (Germany) Food Preserving Jars - MediumWec.. Stainless Steel Clamps / Clips Suit All Weck Preserving Jars pack of 12The perfectly calibrated st.. Previously, the Rex 1-litre jar was the classic par excellence. Now it is an extremely useful jar f..